We’ve put together a handy guide to understanding the SATs scores and answering your SATs results queries! Many parents will be receiving information about their child’s SATs results over the coming weeks, and The Department for Education release the marks pupils need for the 2018 Key Stage 2 tests to achieve the government’s ‘expected’ score. Although the KS1 tests are set externally, they are marked by teachers within the school. This year, children’s raw scores (the actual number of marks they get) will be translated into a scaled score. A score of 100 or more means a child is working at the expected standard, and a score below 100 indicates that a child hasn’t reached the government expected standard. The maximum score possible is 115, and the minimum is 85. Teachers are given conversion tables to translate their pupils’ raw scores into scaled scores, which they’ll then use to inform their teacher assessment. This means the score that your child is given may not be just the result they achieved in their SATs but a score based on SATs results, classwork and the teacher’s observations. All papers children take at Key Stage 2 are marked externally and the results are used to measure the school’s performance. From 2016, National Curriculum levels were abolished and instead children will now receive a scaled score. Their raw score (the actual number of marks they get) will be translated into a scaled score. Tests are set each year to the same specification, but because questions must be different, the difficulty of tests may vary slightly each year. For this reason, raw scores are converted into scaled scores to ensure accurate comparisons of pupil performance over time. A scaled score of 100 or more means a child is working at the expected standard – termed ‘AS’, while a score below 100 indicates that a child hasn’t reached the government expected standard – termed ‘NS’. The maximum score possible is 120, and the minimum is 80. To meet government expectations, pupils must achieve 100 in their scaled scores. However, this equates to different marks for each paper (maths; reading; grammar, punctuation and spelling) and can change each year. This year 61% of pupils met the new expected standard in reading, writing and mathematics. 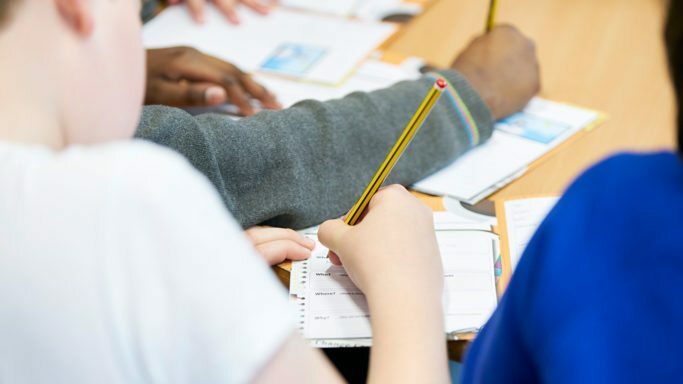 In reading, 71% achieved the standard, in maths 75% met the standard, in spelling, punctuation and grammar tests 77% of pupils met the expected standard, and in writing a total of 76% of children met the expected standard. When will you receive the results? Each individual school will decide how they give pupils’ results to parents. For key stage 1 SATs it is unlikely that you’ll receive your child’s actual SATs score unless you ask for them, but you will be told whether your child is working at the expected standard as part of their end of KS1 report. For key stage 2, many schools send a sheet of results home with the child’s end of term school report. Each child will receive confirmation of whether they achieved the national standard. (‘NS’ means the expected standard was not achieved; ‘AS’ means the expected standard was achieved). As a parent, you might be given your child’s scaled score or a code but you are unlikely to be told your child’s raw score. Will the SATs results be used by secondary schools? Secondary school teachers will be told their incoming pupils’ SATs scaled scores. The way these scores will be used will vary between schools; some will use scaled scores to set year 7 pupils in maths and English, others may use a combination of SATs results and year 7 CATs (Cogitative Ability Tests) or their own internal tests at the start of secondary school. If you have any questions about your child’s SATs results or would like help and support with their next steps, get in touch with your local Explore Learning centre today.